Whether you have or are starting a podcast, you need a killer intro. From background music to the best scripts to follow, we're sharing all the tips here. Do you have a podcast project that you're excited about? Podcasts are such a simple and fun form of media. They are definitely coming back in style, too. They are easy to start and just about anybody with access to a computer and a microphone can start one. Background music and intro tunes make all the difference in a podcast. Background music and intro music sets the stage and theme for your project, notifies the listener when segments are transitioning, and adds entertainments value that turns listeners on to new music. Even if your content is really good and exciting, a lack of music could turn people off. A little bit of music could take your podcast to the next level of entertainment. For example, Marc Maron's famous interview-based podcast is insanely entertaining. From celebrity guests to hilarious content to interesting takes on current events, Maron has it going on with his podcast. Maron may not have an intro track, but he does have music sprinkled in throughout his podcast and has an outro. Maron also has a very unique, engaging voice and is a very well-known comedian. For the podcaster that's not so lucky, intro music could be the hook that makes listeners decide to stay. 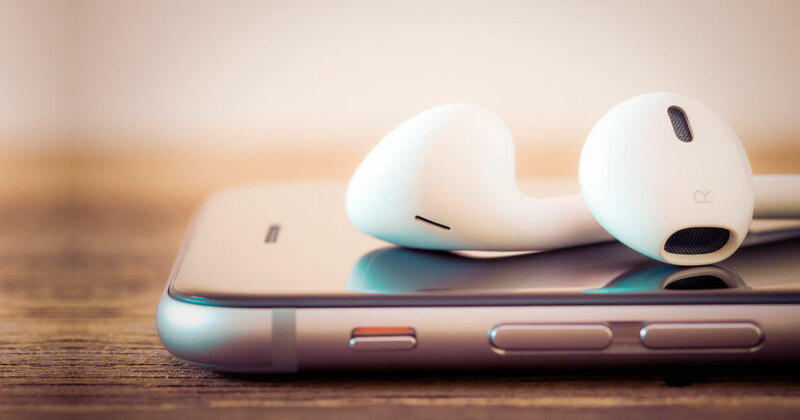 Adding music throughout your podcast also gives it a more upbeat, engaging, and fun vibe. A podcast is not a face to face conversation. It is a form of entertainment. People will be more interested in what your podcast is about if there's more than just a host's voice speaking. These tips are tried and true lessons in how to make the best podcast intro ever. When writing your intro's script, try not to go overboard. A short, simple, and engaging intro paired with great music makes a big difference. Introductions that are way too long are notoriously disliked by listeners. Try including your show's tagline, name, and a short description. Including the host's name and fading out the music also works well. Your intro should only be around fifteen seconds long. Anything longer is a little too much. Like we said before, music sets the stage and theme for your podcast show. That being said, you need to make sure the music you pick actually matches the mood of your show. For example, if your podcast is aimed at younger people and has a comedy theme to it, throwing in Requiem Mass in D Minor as an intro may not be the most appropriate thing to do. It helps to make a list of adjectives that you think of when you think of your show's content. After writing all of them down, search for music that matches those adjectives. It may be tempting to throw your donation and merchandise information at the very beginning of you podcast, but that can actually be a very poor decision. The more people hear the same piece of audio, the less likely they are to continue listening. It's a strange thing, for sure, but it is true. Keep your call to action at the very end of your podcast, possibly in your outro. Your call to action doesn't have to be the same carbon copy statement every episode-- don't be afraid to mix it up a bit, but make sure your message and needs are fairly consistent. In the same vein of the above tip, you should keep things fresh by mixing up your intros and outros. Again, you want your message and theme to be consistent, but you don't need to have the same repetitive intro and outro for every episode. This can be a very optional tip, though. If you manage to make a catchy and memorable intro, people might be turned off if it suddenly disappears. Try scripting several intros and experiment with your listeners to see what gets more reception. Creating your personal brand is important. When it comes to your podcast, if you are unsure or not confident in the message and theme you are trying to create, your listeners will also be unsure and not confident that they like what you're putting out. A clear brand idea and theme are important, so make sure that reflects in your introduction as well. Stealing music isn't cool. Would you like it if someone stole your podcast idea? When looking for a jingle to throw into your intro, always look into respectable royalty-free music websites. If all else fails, simply hit up the musician and/or record label and ask if you can use it for free. Be sure not to delete those emails in case someone decides to go back on their word. Make sense? You can maintain consistency in the order of information you give but can still provide different and new information each episode. Are You Ready To Create Your New Awesome Podcast Intro? Putting together an awesome intro for your podcast is a lot easier than you thought, isn't it? Luckily there's a ton of resources out there to help you learn even more about royalty free music for all of your commercial music needs. Did these tips help you create an awesome podcast intro? Tell us about it in the comments!